Much has been written about the recent Kandy violence unleashed against Muslims by the Sinhala Buddhist fringe groups. The trigger of violence began with a personal altercation between a lorry driver belonging to majority ethnic group and four drunkards, who happened to be Muslims, that led to the demise of the lorry driver. In response, it triggered a full-scale anti-Muslim violence in the central province that resulted in 2 deaths, 28 injuries and damage on 445 houses and shops, 24 mosques and 65 vehicles. 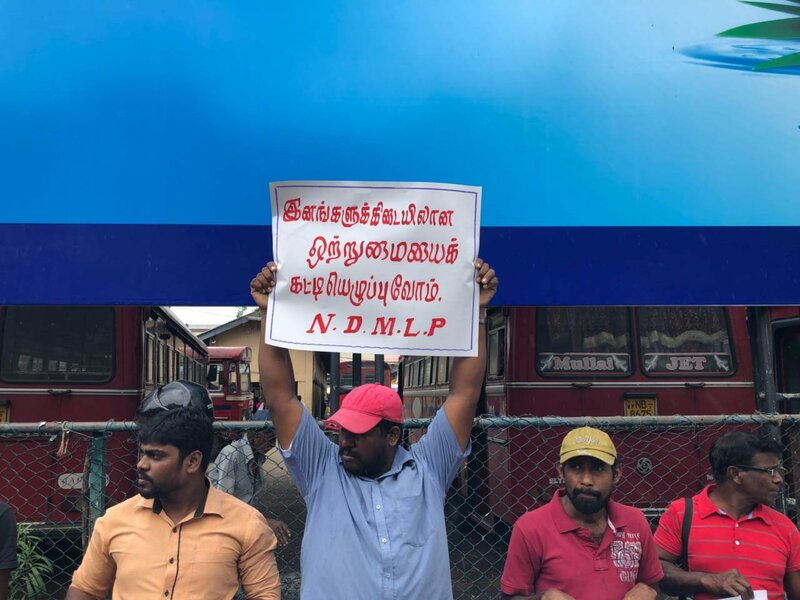 Although those perpetrators were brought before justice, nothing could avert a violence spiraling out of control with the involvement of Sinhala Buddhist fanatical groups and due to laxity on the part of law enforcement authorities at the time of crisis. Kandy violence brought nothing but a colossal loss not only to the Muslims but to the economy of the country as well. It is reported that almost 1 billion worth of damage has been caused to properties owned predominantly by Muslims. Hotel industry has already suffered a severe blow with sudden cancellation of reservations made by tourists in the hotels, particularly in central province and many countries in the world have forewarned their citizens of impending danger waiting ahead of their scheduled visit to Sri Lanka. In short, tourism industry has experienced a huge disaster due to the violence occurred in the hill country, coupled with declaration of the state of emergency and censorship of social media. Although politicians took pride in saying that the telecom industry was able to generate some financial gains by the censorship on Facebook and WhatsApp, its effect on our country’s overall economy is far-reaching. Report of share market going down as a result of Kandy riot is already observable, while foreign investors and would-be investors in the country will revisit their intention of doing so in future. I do not wish to do the post-mortem of what other writers have extensively dealt on the factors that contributed to the violence against Muslims not only in Digana or Teldeniya, but other parts of the country in the past too. 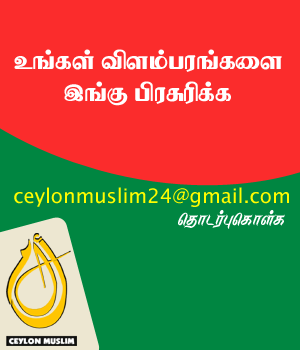 Myth of sterilization pills ( wantha pethi), paranoia of population growth of Muslims and their inordinate wealth, among others, lack of integration and acculturation, and Islamicization of Sri Lankan society are highlighted as the key factors for wanton onslaught against Muslims. Medical practitioners and other scholars have effectively debunked these allegations against Muslims. However, it helped serve for fanatical groups, who are reported to be politically motivated, as an excuse to attack the Muslims in all parts of the country. It appears that anti-Muslim sentiment, due to incessant campaign by fanatical groups, has deeply entrenched in the psyche of the youth who are apparently misguided and misinformed of truth. Unfortunately, the damage has already been done in a large scale despite the violence has ceased. The peace that prevails now in Kandy and other parts of Sri Lanka is only ephemeral, since the government has not arrested the root cause of factors that led to the violence against Muslims. Instead, the government has apprehended some actors who were dancing to the tune of masterminders of the Kandy riot. Then, what is the way forward for this malaise that has apparently deep-seated? 1. Laxity of the government was largely highlighted as the key factor to contain the violence in Kandy. When a situation arises of this nature unexpectedly, onus is on the government to enforce full force of the rule so that the situation can be brought under control and the perpetrators could be held accountable. 2. Unit of riot police/force consisting of armed forces representing all ethnic groups will have to be constituted and mobilized in times of crisis. 3. Strong actions will have be taken against all those who propagate racism/extremism in the name of religion or ethnicity either in social media or in open spaces. 4. The government should proscribe all radical elements, regardless of ethnicity or religion, in the country that propagate hate, lies and suspicion about an ethnic group among the psyche of youth in particular and the people in general. 6. Concept of pluralism or multiculturalism and comparative religion should be included in the curricula of schools and taught from the primary level of education. 7. Sinhala language as a compulsory subject in a Tamil medium school and vice versa should be introduced from the elementary level of education as soon as possible. 8. Civil society groups will have to be formed comprising of cross-ethnic representatives/civil society activists so that they could counter the myth propagated in the name of religion or ethnicity. 9. Interaction between the representatives of All Ceylon Jamiyathul Ulema and National Shoora, and the Buddhist Sangha will have to be held regularly, at least monthly, so that a lot problems could be mitigated. 10. Professionals like doctors, engineers, lawyers representing all ethnic groups will have to engage in constructive discussions about issues confronting their communities. If these suggestions are heeded or positively taken in the light of recent trend of anti-Muslim violence in the country, I do hope that Sinhalese and Muslims will live in peace and harmony as they lived in the country for more than thousand years in amity in the past.